Austin Dillon was quickest in round two. At the start of round three, he sat at the end of the pit lane ahead of the field. NASCAR has a new rules package for 2019. With the new rules, drafting has come into play at the larger speedway ovals when it comes time to qualify. But, if you’re the first car out, you aren’t drafting anyone. Instead, you’re likely to be the slowest of the group. So, it creates a waiting game at the end of pit lane as nobody wants to go first. Austin Dillon was quickest in round two. If he could trick everyone into missing their round three lap, he would be the pole sitter. And that’s exactly what he did. Dillon slowly crept off the pit lane. He was stalling just long enough that the field couldn’t make it back to the line to start a timed lap before the clock expired. It worked perfectly. The entire field was 2 or more seconds shy of making it to the start/finish line after leaving pit lane so late. 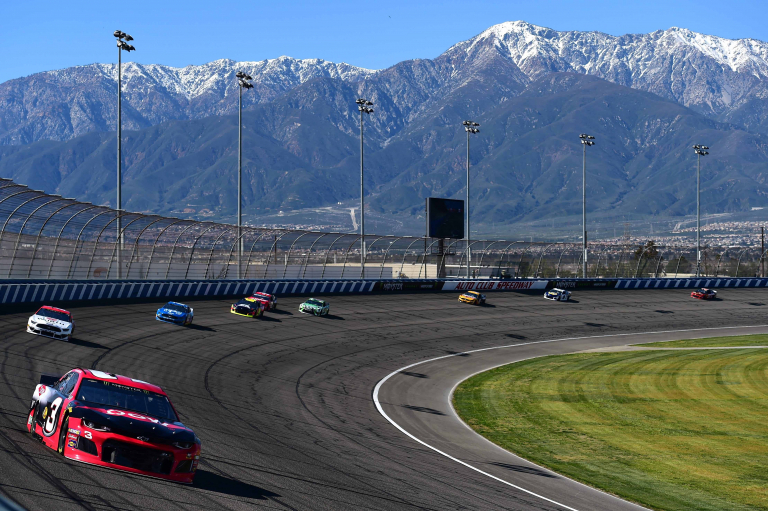 The fans at Auto Club Speedway reacted by booing the entire show from the grandstands. The week prior, a fight broke out in qualifying. The drama has been escalating when it comes to setting times. “That wasn’t good for any of us. It wasn’t good for the teams, NASCAR and obviously it wasn’t good for the fans,” NASCAR’s competition director Scott Miller stated to ‘The Morning Drive’ via Sirius XM NASCAR Radio. Martinsville Speedway is not a likely track for these issues to surface. At recent tracks, teams were drafting in qualifying. At the paperclip oval, drafting is unlikely. Is there an option just to try it again? “Well, we knew there was potential for the waiting. We really didn’t expect anybody would wait until the time elapsed. That seemed kind of counterintuitive to what might happen,” Miller continued.